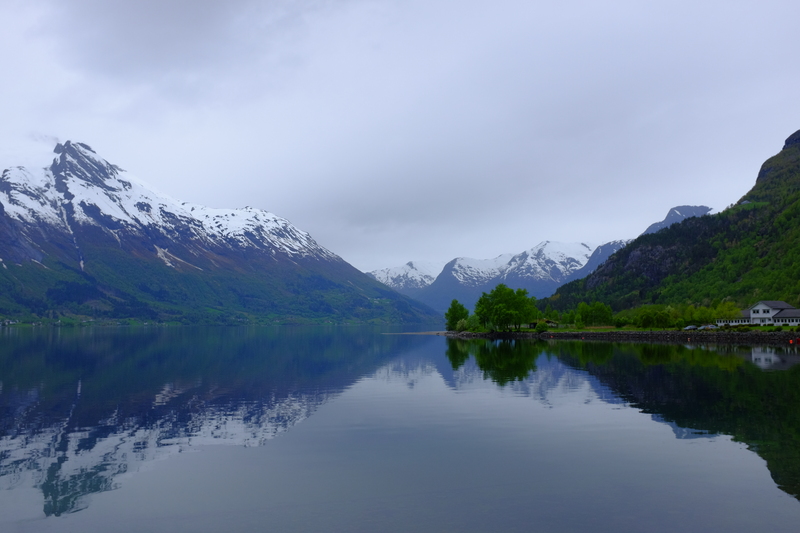 If I had to name my favorite experience during my trip to Norway, it would have to be Royal Caribbean’s Briksdal Glacier Shore Excursion from Geiranger. 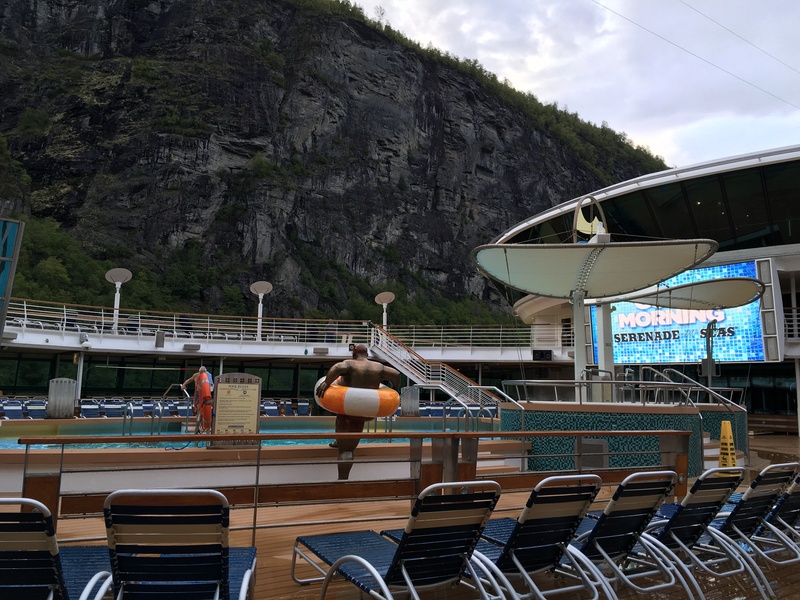 This was our most anticipated stop of the cruise, as we had been longing to visit one of Norway’s most beautiful glaciers. 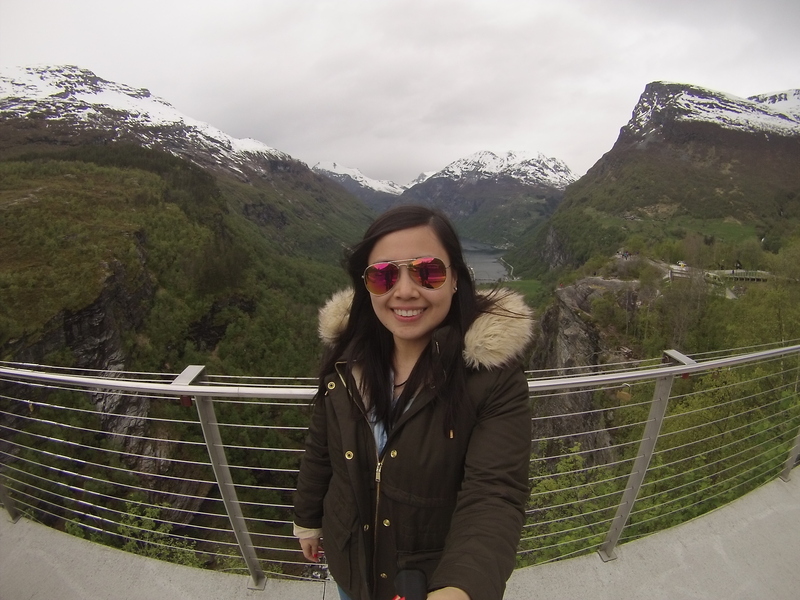 As we arrived into the little town of Geiranger, we had an incredible view of the fjords. 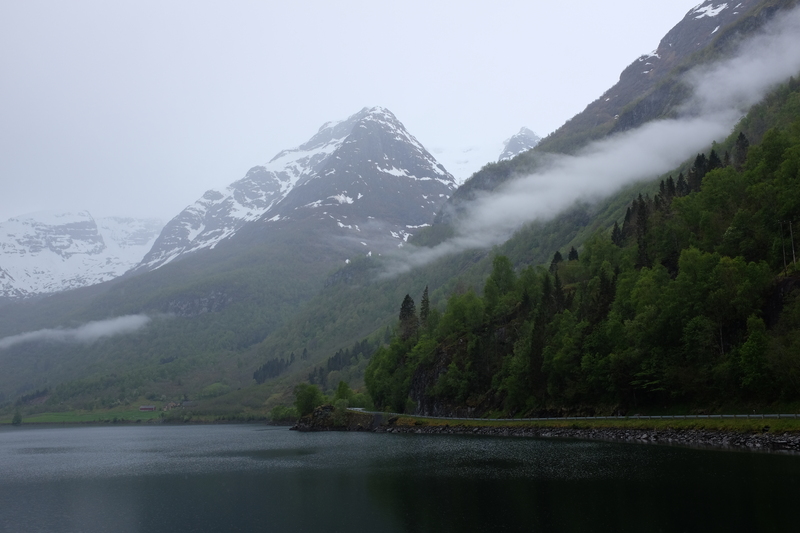 Since we were there via a cruise stop in Geiranger, we were more than 2.5 hours away from Briksdal. 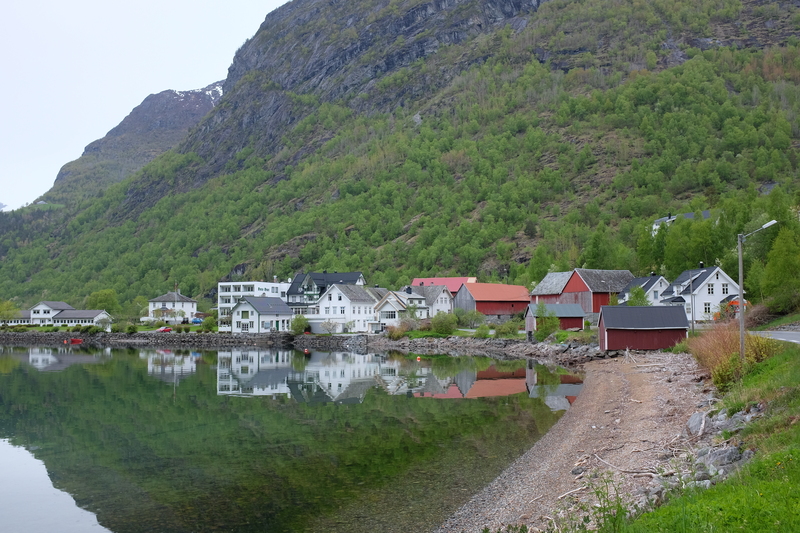 Though the drive may seem long, it’s worth it; you’ll be treated to 2.5 hours’ worth of incredibly scenic views, passing through the country’s coastline and snow-capped mountains with a quick stop at a small Norwegian mountainside town and at the turquoise Stryn Lake. 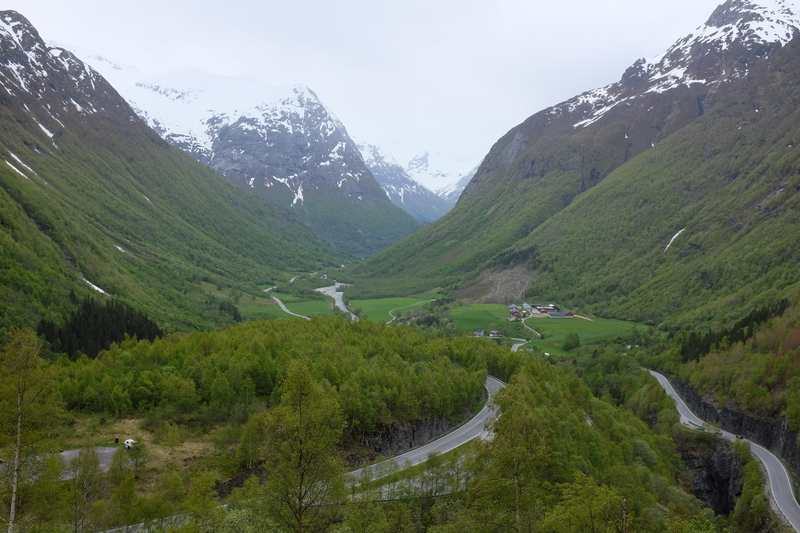 After the most scenic drive from Geiranger, we finally arrived in Briksdal. 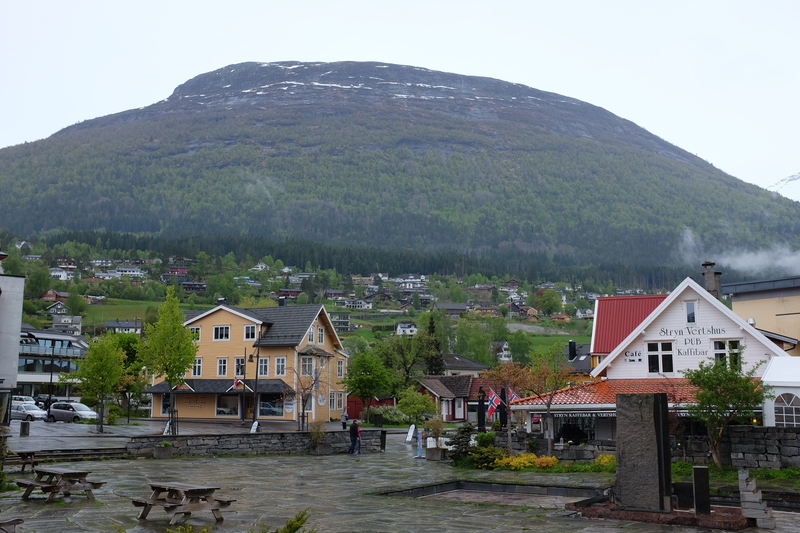 Upon getting off the coach, we headed directly to Briksdal Inn, where we were served our Norwegian Salmon Lunch. As it was a three-course meal and we had our soup & salmon, we decided to skip dessert and head straight to the start of the trail. 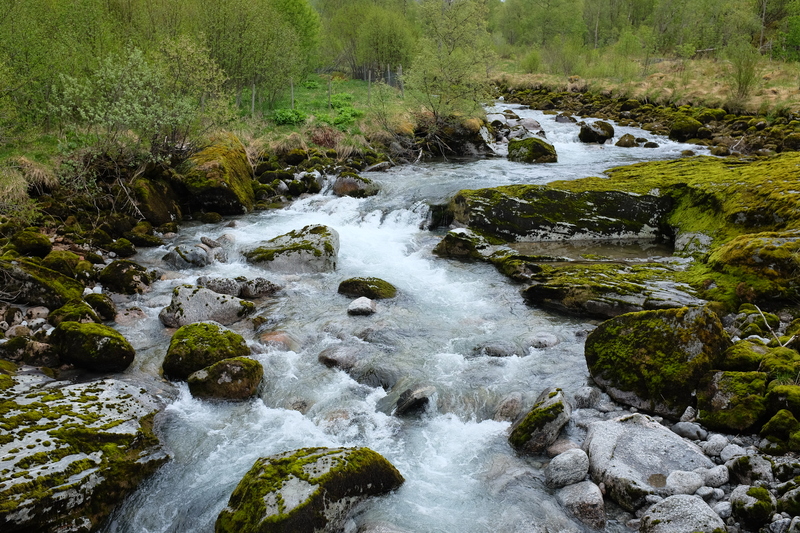 I suggest you do the same as well, since waiting for dessert wouldn’t be worth it when you could start exploring beautiful Briksdal instead. 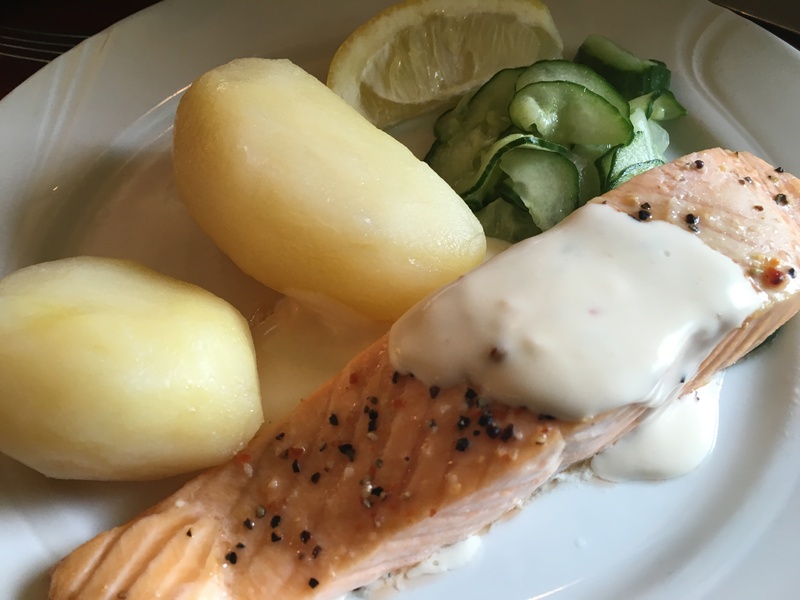 Besides, the Norwegian Salmon Lunch we were served with was already more than enough to satisfy our appetites. At the end of lunch till the agreed-upon meet-up time, we were free to do our own thing at our own pace. 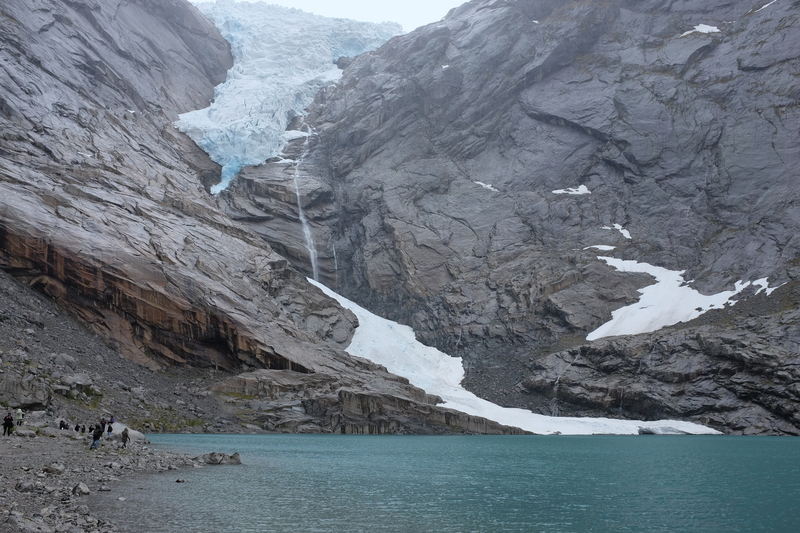 Popular to many, Briksdal Glacier not only boasts about its massive size, but of its surrounding scenery. 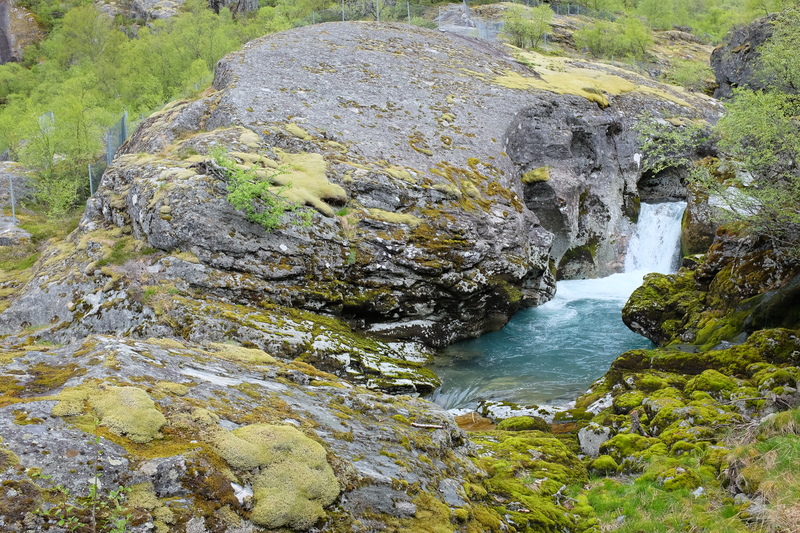 Gushing waterfalls hanging from mountains will surely leave you in awe as you explore the area. 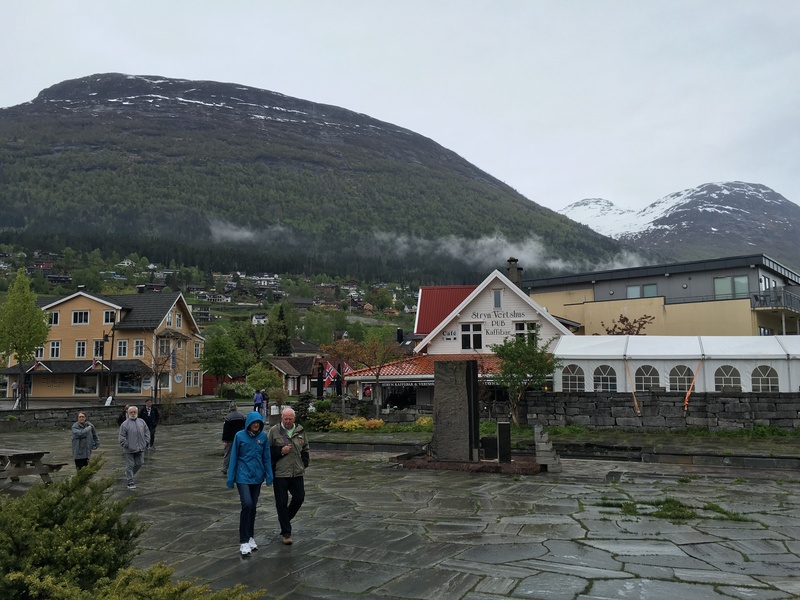 As it is a well-known tourist attraction despite its seclusion from the rest of the world, there’s a restaurant, a souvenir shop, and small tourist center you’ll find at the start of the trail leading to the glacier. 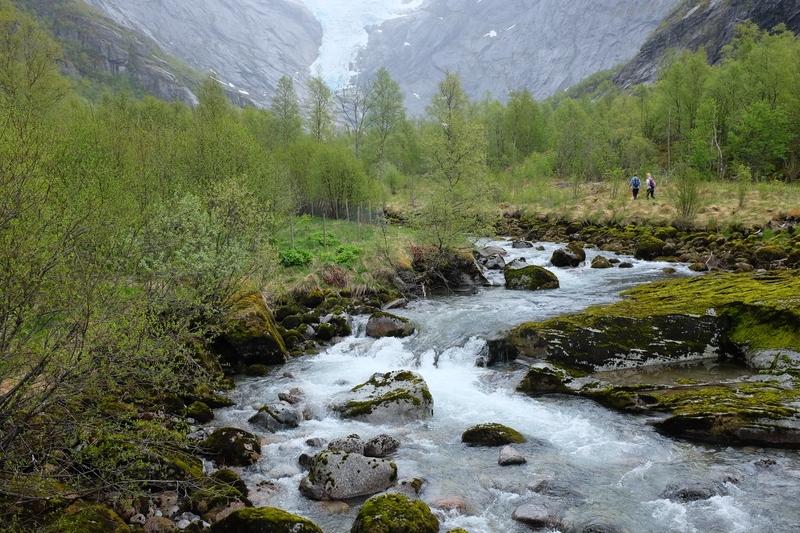 There are two ways to get to Briksdal Glacier: walk or ride. 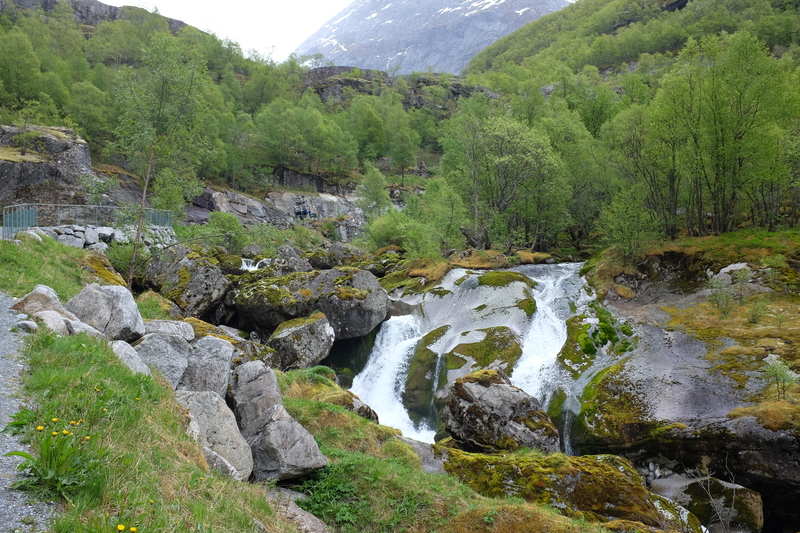 The trail is 3km each way, meaning you’d have to walk a total of 6km considering the return trip. 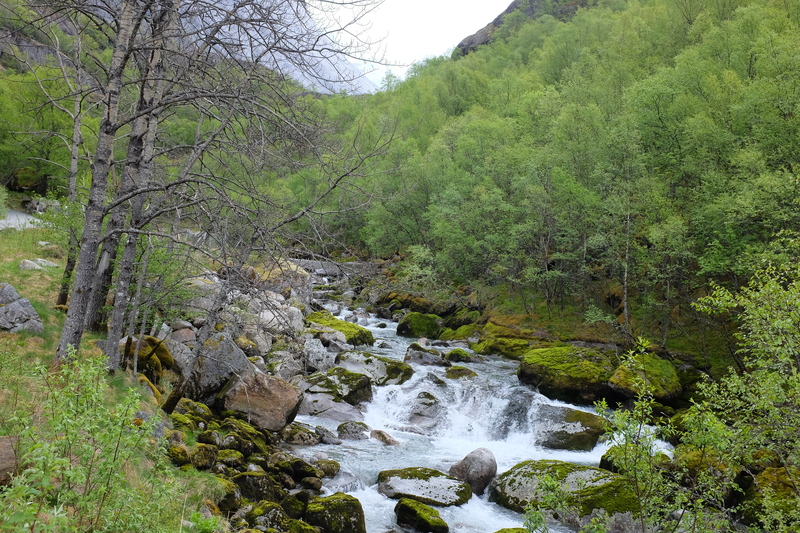 The hike up is a bit challenging, as it’s mostly uphill and the higher the altitude, the harder to breathe. 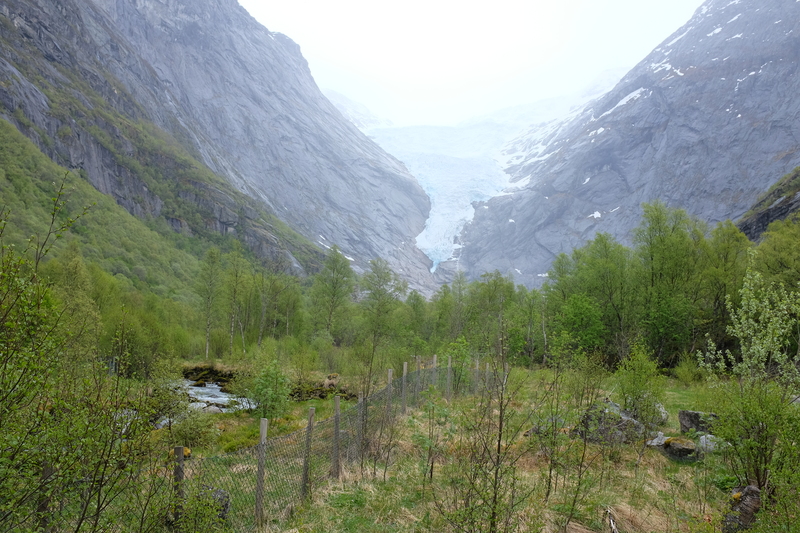 Since the trail is uphill, you’ll feel warm on the way up, but when you get to the glacier: it’ll be freezing cold. More on that later. 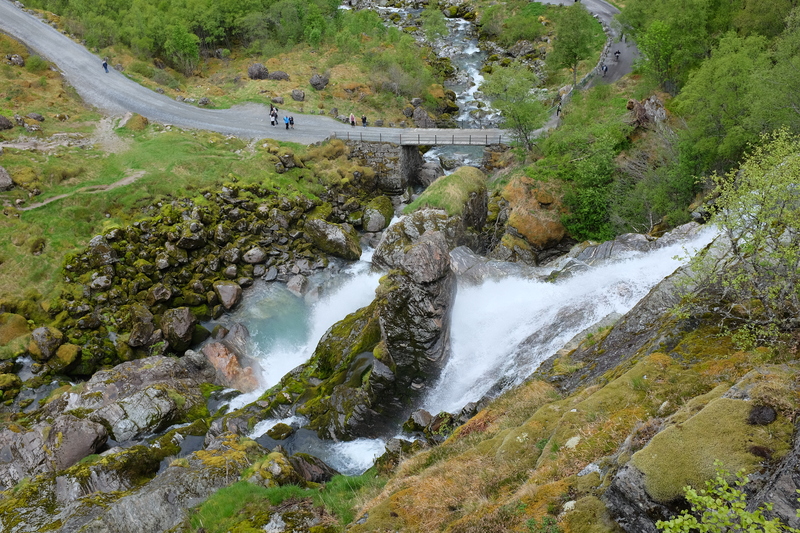 The ride, however, is the easier option, as you simply hop onto one of their open-air 7-seater “Troll Cars” and enjoy the scenery from the vehicle. Round-trip takes about 1.5hours, though it’s important to note that the trip doesn’t take you directly to the glacier, but closer to it. I’ve always loved walking, which is why we opted to go with the trail, without knowing that each way was 3km each. 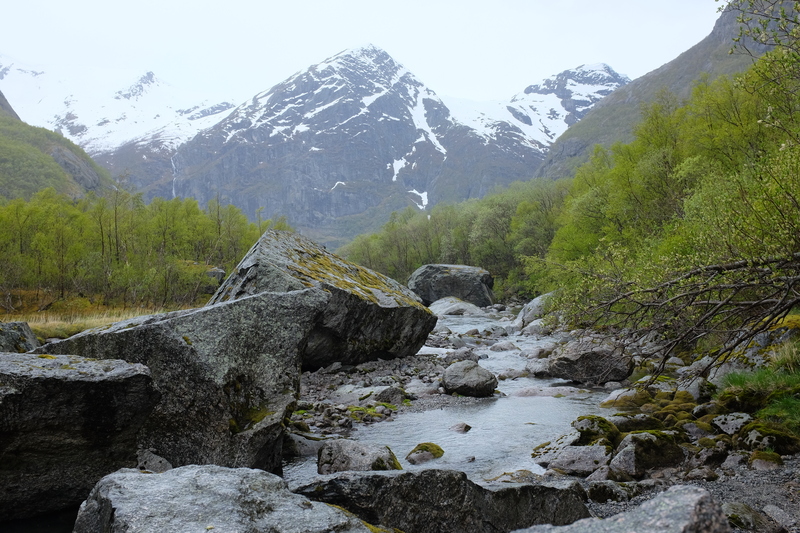 Since it’s uphill, you only see the Glacier from certain points of the trail, but the surrounding landscapes are a visual feast in itself. At a normal pace without making any stops, the 3km uphill trail would take nearly an hour; but since I’m obsessed with documenting my trips and taking photos of everything I see, it took us an hour and a half given the many stops we took. Despite the uphill path and altitude challenges, note that I’d consider it a medium (in terms of difficulty) trek, since the path is paved the whole way. I say go for the trail. It’ll cost you more time and effort, but let me tell you that it is worth every step, every sweat-drop, every cramp thereafter, and every effort you put in on the way up. If you go for the trail, you’ll get to make the stops you want and you’ll get to appreciate every vantage point you get during the trek, like we did! Though the hike up is quite challenging, I’m telling you – it’s an exhilarating trek; don’t believe me? 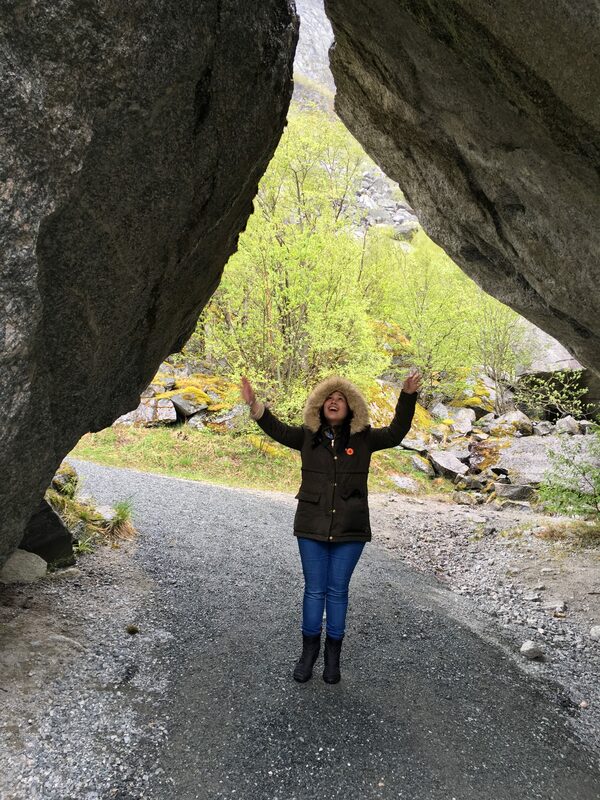 Check out the photo below to see how happy I was all throughout, while walking past giant boulders. After what admittedly was a tiresome trek up to the glacier and several times asking “is this hill the last one…” we made it. 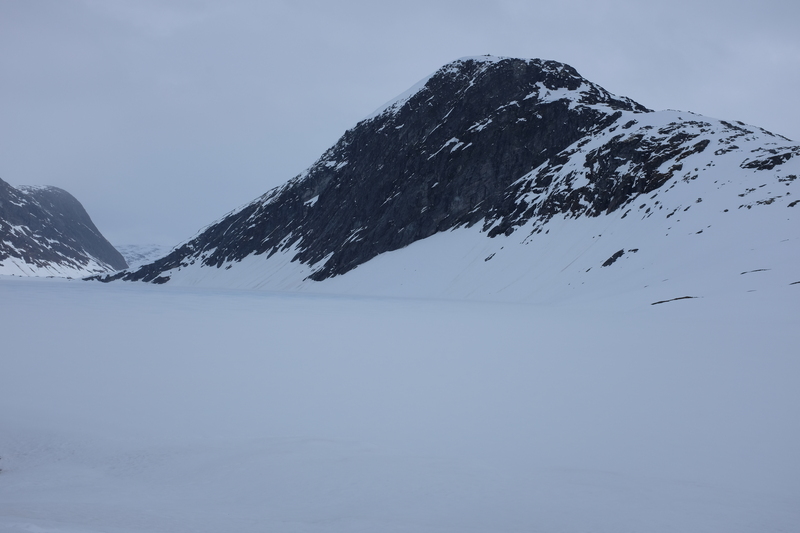 As expected, it was freezing cold right by the glacier, which is way, way, way more massive in person, might I add, and the strong wind didn’t help either; but how glad we were to have finally reached the top. 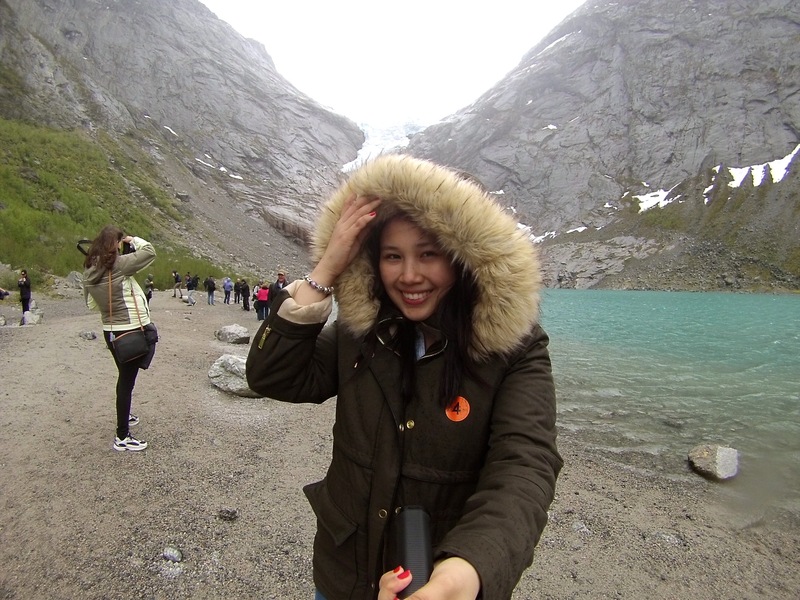 And let me tell you that seeing the glacier up close was such a dream! The trek back down from the glacier was quicker (and easier), taking about 40 minutes, since we were pressed for time and made fewer photo stops, but equally as enjoyable! 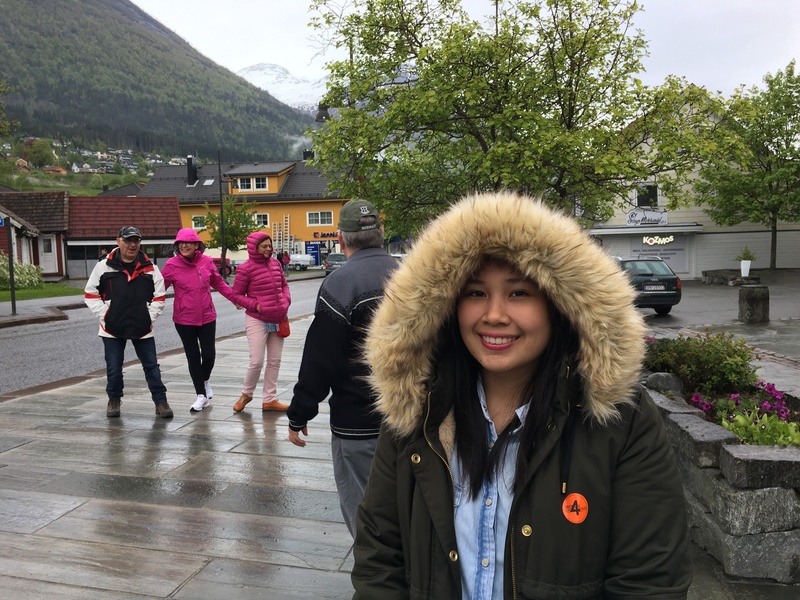 As the group gathered in the coach after the glacier visit and a quick stop at the souvenir shop, we headed back to Geiranger. On the way, we drove past majestic landscapes once again. 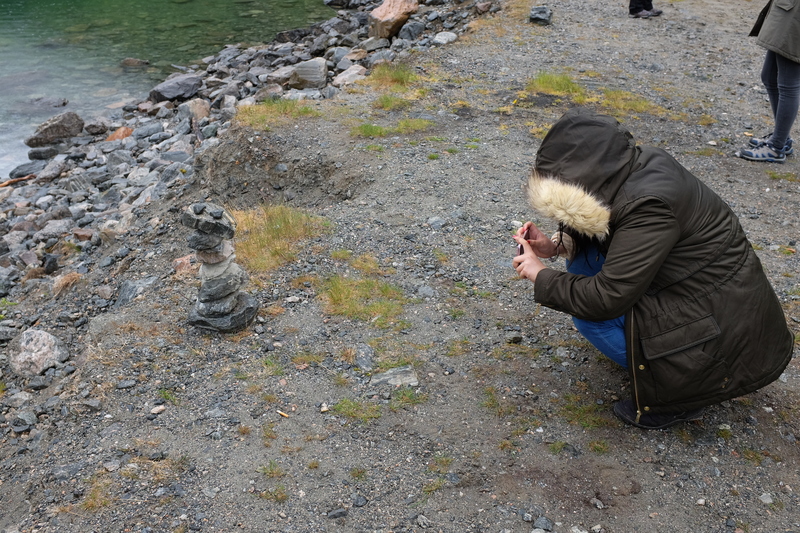 One of the people on the tour hadn’t experienced snow, and our tour guide was kind enough to make a stop for her! 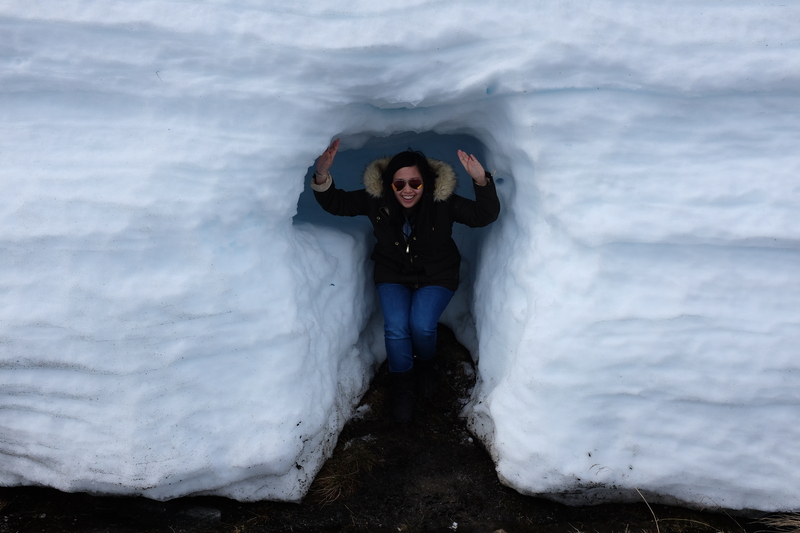 It was to the benefit of the rest of the group, given it wasn’t supposed to be included in the itinerary – and how happy was I, since it was only the second time in my entire 24 years of living to experience snow! 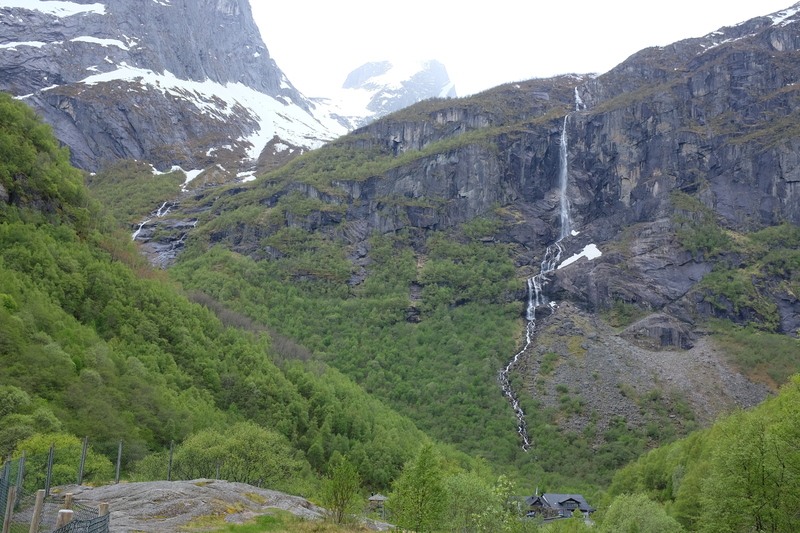 Nearly reaching Geiranger, we made our last stop at Flydalsjuvet Gorge. 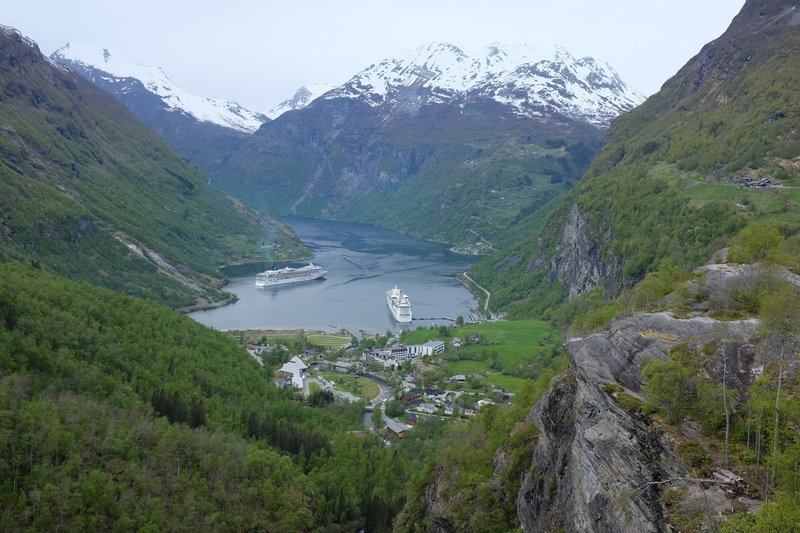 This view-deck provides by far the most picturesque landscape I have seen to date, overlooking Geirangerfjorden and the town of Geiranger. 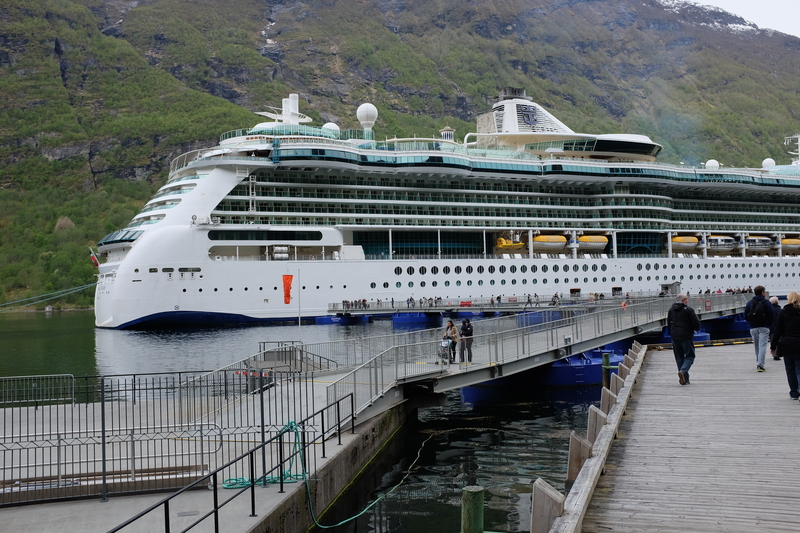 Since we arrived in Geiranger just 15 minutes before the ship’s all aboard, we, unfortunately didn’t have time to explore the town. 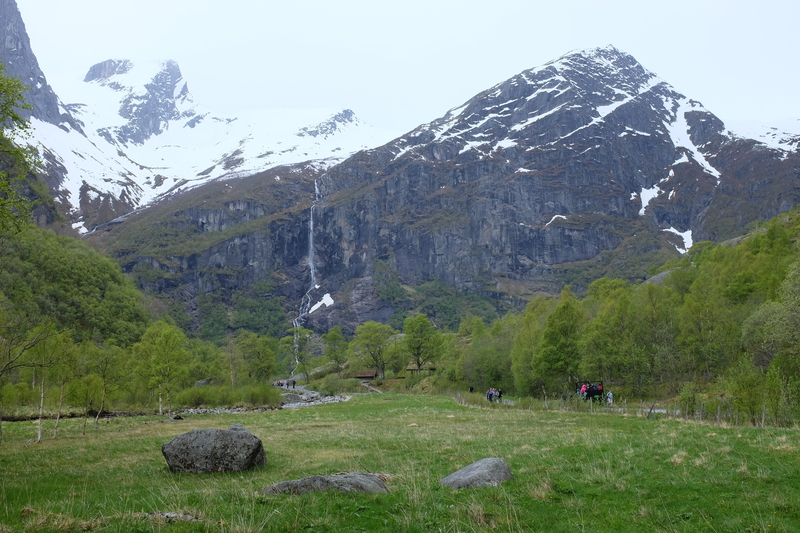 Still, that was one heck of a day all thanks to our majestic day in Briksdal, which should definitely be on everyone’s travel list! 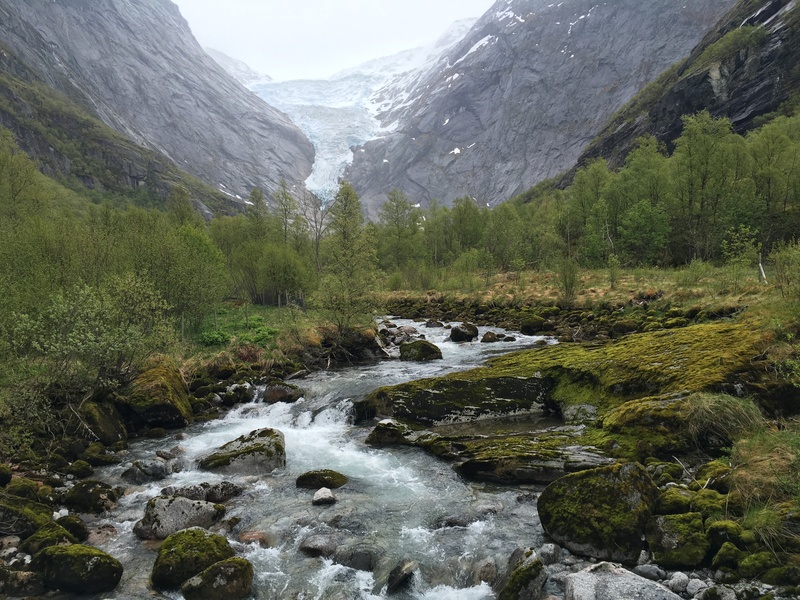 This excursion not only gives you the experience of visiting one of Norway’s most beautiful glaciers, but you also get the complete majestic Norwegian experience, which is definitely for the books!